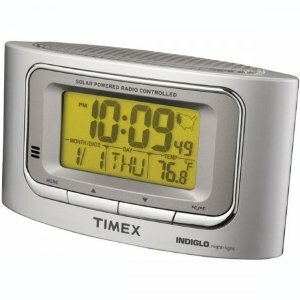 This multifunctioning alarm clock has a clear read out of the time, month, date, day and an indoor temperature. It is simple to read. Automatically adjusts for Dayinglight Savings as well as Standard Time. It also will have no problem waking you up.